Paying off student loans is something that many people worry about at some point. Some walk away from their college experience with many thousands of dollars in student loan debt. While the debt is usually at a good interest rate, it can still be overwhelming at times. You may have no idea how long it will take you to pay off your debt and see no end to the debt in sight. However, one way that you could potentially get some help from your student loan debt is by going into military service at some point. Many people do not realize the benefits that military service can give you in regards to student loan debt. Here are a few things to consider about what military service can do for you. The Armed Forces all have a great program called the Student Loan Repayment Program. As long as you meet certain guidelines that they set forth, you could have all of your student loans repaid. In fact, you could potentially get as much as $65,000 in student loans repaid at no cost to you. This could completely erase the debt of many that have student loans hanging over them. This program offers a major benefit for those that are planning on entering the Armed Forces. This is one of the most valuable tools that Armed Forces recruiters have in bringing in new people. If someone can tell you that they can offer you $65,000 worth of repayment on your student loans, it is going to get you thinking about joining the Armed Forces. This program or a similar program is available from the Army, Navy and Air Force. The Army and Navy both allow the full $65,000 to be repaid while the Air Force offers up to $10,000. The Armed Forces know that they can throw in this benefit when trying to get someone to join. Many times, this is the main reason that people end up going into the Army in the end. They can serve their country for a few years and then completely be out of debt with their student loans. In order to get involved with this student loan repayment program, you have to meet certain criteria. It is not just as simple as joining the Army or Navy. 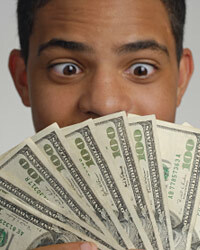 Here are a few requirements that you must meet in order to get the money. As long as you meet these basic guidelines, you should be able to get some money to repay your student loan debts. You have to have entered active duty in the military during December 1, 1980 through September 30, 1981. Or if you have entered the military after September 30, 1982. You have to come into the military with a high school diploma. Must have an Armed Forces Qualification score of 50 or above. You have to enlist in a critical military occupational specialty. You must have a student loan that was made after October 1, 1975. Must be a non-prior service accession.